Synopsis (from the publisher): For all the ten years of her life, Hà has only ever known Saigon: the thrills of its markets, the joy of its traditions, and the warmth of her friends close by. But now the Vietnam War has reached her home. Hà and her family are forced to flee as Saigon falls, and they board a ship headed toward hope—toward America. Why I recommend it: The text is spare, with lots of white space on the page. Yet the imagery is gorgeous and colorful. I could taste the papaya, see the cramped boat on which they escape, feel Hà's anger and frustration at leaving home and starting over. Hà's voice is honest and childlike. 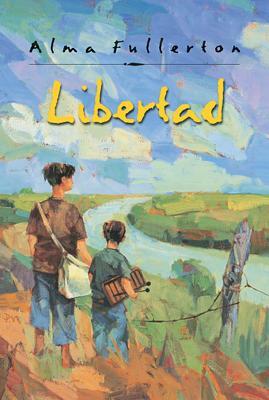 Based loosely on the author's own childhood, the story is a deeply moving one. Like Hà, Thanhha Lai fled Vietnam with her family when she was ten, and moved to Alabama. Today she lives in Kansas. The paperback edition includes suggested activities and an interview with the author. Bonus: Use this as a starting point for classroom lessons about the Vietnam War, and timely discussions about refugees and prejudice. 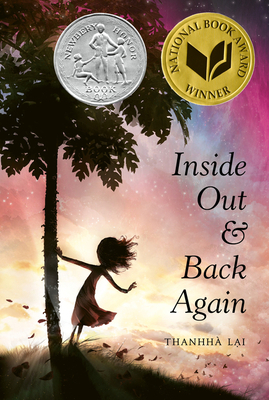 Have you read Inside Out & Back Again or any other novels in verse? What did you think of them? You read that right. I'm nearly finished writing the rough draft of my fifth novel. 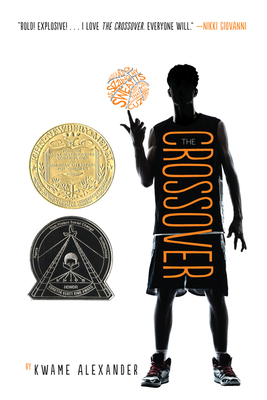 In the past nine years, I've written four MG novels and one YA, in addition to more than a dozen picture books. And no, in case you're wondering, I don't yet have an agent or a book contract. I've had fourteen publication credits to date, but they're all poems or flash fiction or micro fiction for adults. Still, I keep writing for children and teens. Perseverance is my mantra. But I have to admit, Novel #5 is, well, a little different. In what way? I started an idea notebook for my fifth novel back in the late spring of 2015, so nearly a year ago. After gathering ideas, and working out character sketches and a setting and a conflict, I wrote three chapters. Almost immediately, I became stuck. Something didn't feel right about it. So I put it aside and revised my fourth novel instead. And then, in September, after reading Full Cicada Moon by Marilyn Hilton (even though it wasn't the first verse novel I read), I had an epiphany. This new novel? The one I was stuck on? It was meant to be written in verse. I spent two months reading and studying verse novels and then in November 2015 I started writing Novel #5 all over again. Am I crazy? Well, this doesn't feel crazy. It feels... right. Since making that decision, the process has changed for me. Writing a verse novel is the hardest thing I've done as a writer, but at the same time, it's like I've grown wings. I look forward to writing every day, which is something I never did with a rough draft before. Rough drafts are usually agony. I've been accepted into the Highlights Foundation workshop on Novels in Verse which will take place in May. Who knows where this will lead? Maybe nowhere. But maybe, just maybe, something good will happen. For the rest of April, in honor of Poetry Month, I'll be looking at a few of the verse novels I've studied in my quest to learn this new (for me) form. What verse novels do you recommend? All suggestions are welcome.